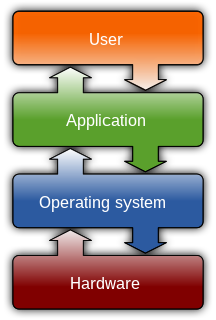 Memory management: Memory management is a form of resource management applied to computer memory. The essential requirement of memory management is to provide ways to dynamically allocate portions of memory to programs at their request, and free it for reuse when no longer needed. Block (data storage): In computing , a block, sometimes called a physical record, is a sequence of bytes or bits, usually containing some whole number of records, having a maximum length, a block size. Data thus structured are said to be blocked. Allocution: An allocution, or allocutus, is a formal statement made to the court by the defendant who has been found guilty prior to being sentenced. It is part of the criminal procedure in some jurisdictions using common law. Allocate-on-flush: Allocate-on-flush is a file system feature implemented in HFS+, XFS, Reiser4, ZFS, Btrfs, and ext4. The feature also closely resembles an older technique that Berkeley's UFS called "block reallocation".